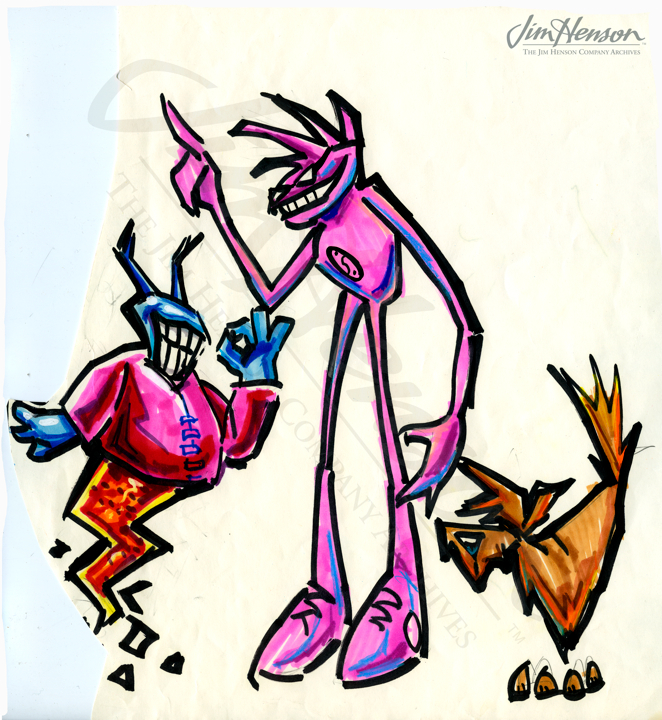 On July 20, 1987, Jim distributed to his development team (Bob Beitcher, David Lazer, Bernie Brillstein, Michael Frith, Jane Henson, Karen Barnes, Duncan Kenworthy, Martin Baker and Mira Velimirovich) a draft of a presentation that he planned to give to NBC executive Brandon Tartikoff at their meeting a month hence. 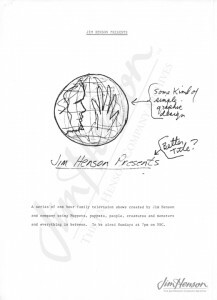 Jim would be pitching what was then being called Jim Henson Presents, described as an hour of family television that would showcase the range of his work. The idea was that on Sunday nights, Jim would host and present, in monthly rotations, an hour of The Storyteller one week, and a picture book special (like The Tale of The Bunny Picnic) the next week. A third Sunday would feature “Infinite-TV” – a sort of “high tech comedy variety show,” and the fourth week would be up for grabs – it could be, “a one hour story about a little boy whose stuffed animal comes to life” or a behind the scenes documentary. 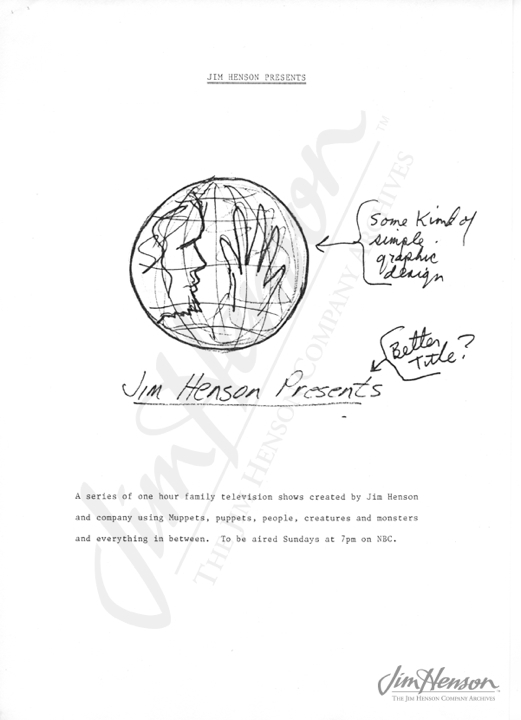 Page from Jim’s Jim Henson Hour presentation draft, July 20, 1987. 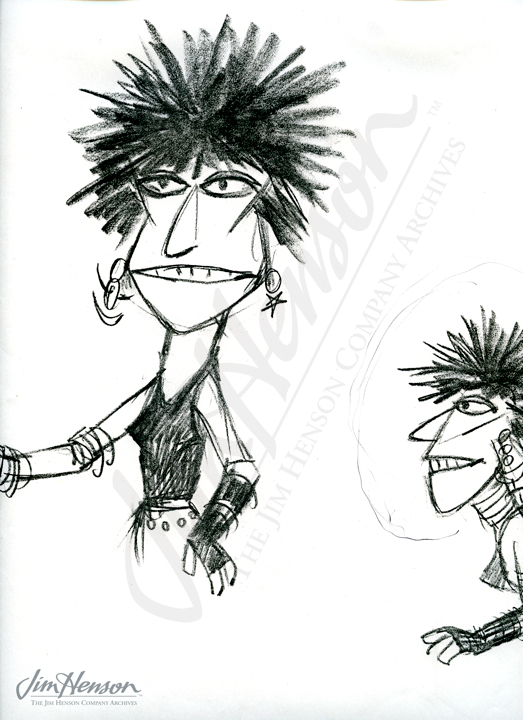 John Stephenson’s design for Zondra on The Jim Henson Hour, 1988. 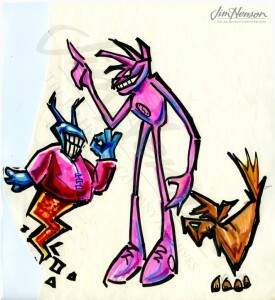 Kirk Thatcher’s design for Graffiti Monsters for the Bobby McFerrin episode of The Jim Henson Hour, 1988. This entry was posted in 08-August '87, 1987, Jim Henson Hour and tagged Bernie Brillstein, Bob Beitcher, Brandon Tartikoff, Creature Shop, David Lazer, Duncan Kenworthy, Jane Henson, Jean Jacques Amiel, Karen Barnes, Martin Baker, Michael Frith, Mira Velimirovich, The Bear. Bookmark the permalink.